There is something amazing about a child sounding out their first word. It really makes you think that they might actual graduate from high school some day. Ok, maybe that’s not your first thought, but after many times of repeatedly, slowly, saying the letter sounds, it’s magic to hear it all put together. I don’t have any studies to back me up, but I’d say an overwhelming majority of the time that word is CVC word. They are the simplest words in the English language. And so we start our kids reading them like we started them on finger foods as a baby. As they gain more expertise, we give them slightly bigger chunks, until they can chew up that whole big piece. It’s very similar to reading as we start them on the puree (the alphabet), finger foods (CVC words) and then bigger chunks until they are able to successfully read their first book. Then, they read their first chapter books. And from there they can conquer the world. I think there is no greater gift that we can give our children than to teach them to read. So, I love making reading activities just so that I can hear my kids sound out those letters, smash them together and form those lovely little words. 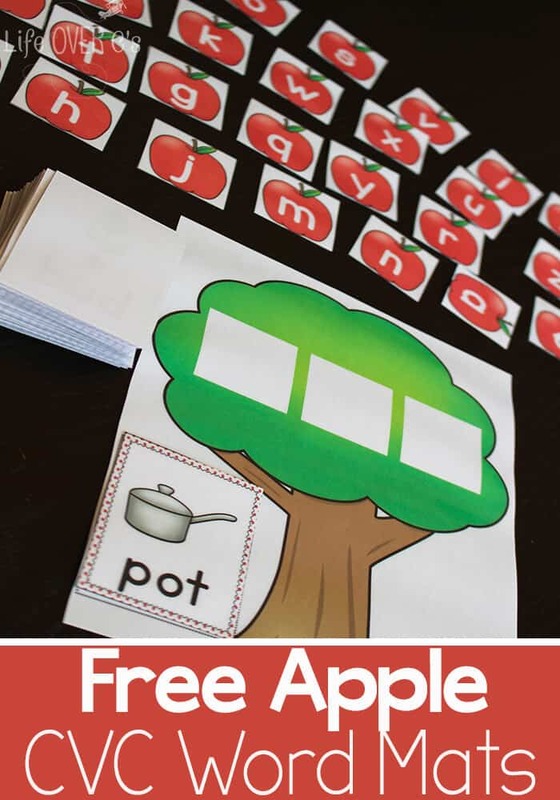 I’m working on a set of Build-a-Word activities with an Apple theme. You may remember the Build-a-Word blends that we did a while back. Since, fall is quickly approaching, I thought that a set of apple themed ones was definitely in order. In case you’re wondering, I love teaching in themes. With every piece of the curricula tied together with a common thread. 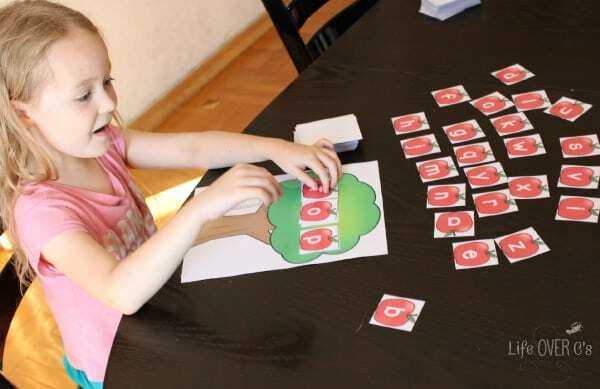 Since we’ve been exploring apples the last couple weeks, I put together some word building activities for Jaida. Of course, as she is entering 1st grade, she knows how to read CVC words. She does need to build fluency, but she can read them given the time. So, I included two levels of cards with this set. The first level has cards with the words written on them. That way the child can focus on finding the correct letters and matching them to the sounds they already know are in the word. The second level has cards with the picture only. 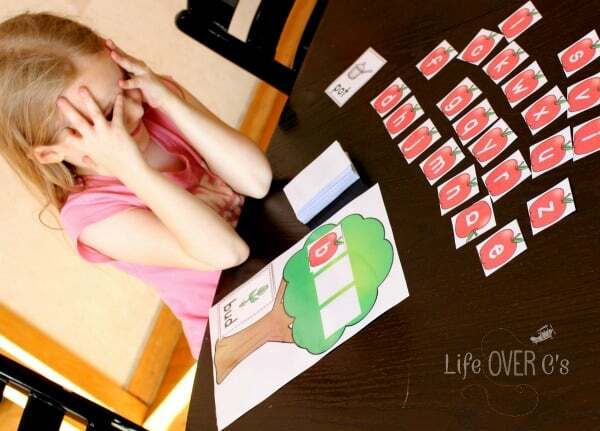 The student needs to sound out the word and find the matching letters. We worked on both levels for a little bit today. Nothing strenuous since it is summer. Ta da! The magic moment. Forever frozen! Then, be sure to check out all of the other fun apple activities we’ve been doing! Great! I needed this kind of cvc teaching material. This is a really great CVC activity. The printable is adorable. If it’s okay, I’d love to include this activity as part of a round up at Every Star Is Different. 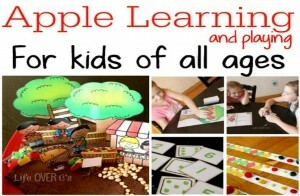 The post will also include a Kids Learning Printables Linky Party, I’d love to invite you to link up! Hope to see you there! Love this, perfect for my son who has been tasked with the same thing using a Sparklebox set from school. I’m hoping this will mix it up for him! Thank you, Thank you! for making this and making it available for anyone to use. I work with the special education children in my school, and this is going to work amazingly for me. This file is good!! Thank you. 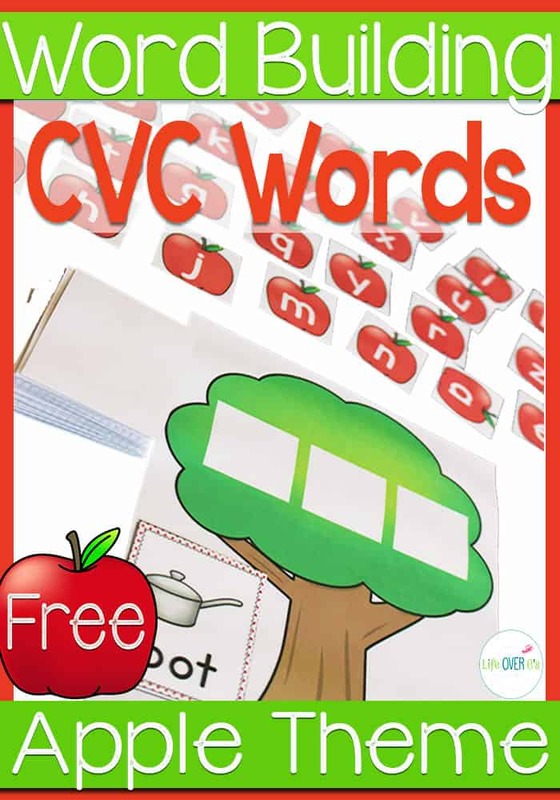 It’s so good to learn cvc-word!!!! Thank you so much!!! !